In that New Tab, I could go to other pages I’d Most Visited. Pretty handy. But that screenshot had a bunch of whitespace, so I resize the window, and “whoa!” again, the thumbnails resized themselves. 2 Points for Chrome. By now I was inspired to write this article, so I went to this here Ninthlink Blog, and that was the first disappointment I’ve had. No more nice sIFR-ing. I understand that when you check out the develop section, it should give you the “Building Innovative Solutions” message. But that message doesn’t need to appear twice. Also, in typing this up, WordPress’s Add Media feature, which appears in a lightbox/thickbox/cool way, doesn’t seem to work either. So I’ll have to switch back to Firefox for the pictures. Which means I probably won’t be switching primary browsers any time soon. But once those bugs get un-bugged, well, yea. Does this mean that I think stock in Google will go up? 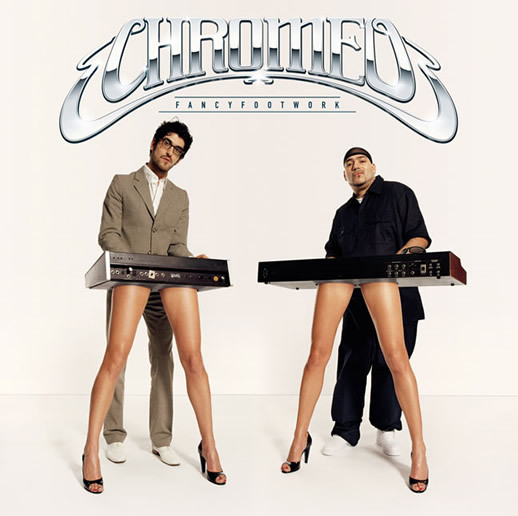 In my humble, expert opinion, the answer to that is still a maybe, but what I think will go up, is stock in Chromeo. Oh yea. Previous PostRonald McDonald House Drive a Tremendous Success!